One of the more insidious problems within the industry is the issue of atomic hydrogen dissolving into steel equipment. This can happen to some steel components under certain circumstances and can cause weld failure, or what is known as “hydrogen cracking.” These cracks can occur during the welding process itself, but sometimes they can occur up to 48 hours later. This is what makes the problem so insidious. If an inspection occurs too soon after the welding is completed, then the cracks may go unnoticed and faulty equipment could be unknowingly put into service. The way to deal with this issue is a process known in the industry as hydrogen bake-out, which is used to drive hydrogen out of the equipment prior to welding. 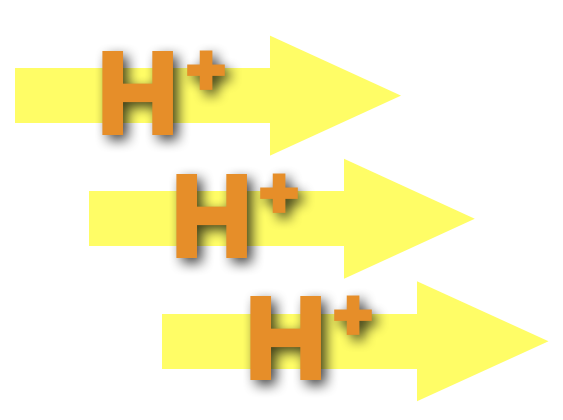 At it’s most basic level, the process behind hydrogen bake-out is fairly simple. It involves heating the steel to an elevated temperature and allowing time for the hydrogen to diffuse out of the steel, leaving it hydrogen free and easily weldable. Despite this, there are no set standards for the exact time and temperature which are necessary to effectively bake out enough hydrogen in order for a weld to be applied successfully. Several places have specific rules-of-thumb or in-house recommendations, but there tends to be no firm basis for these times. A particularly common rule of thumb though suggests to bake the steel at 600°F (316°C) for four hours, or at least one hour per inch of thickness. Several issues you should be aware of though that are involved in the potential success of a bake out, the amount of hydrogen embedded in the steel from the process exposure and corrosion, for one. Another factor to be aware of is the number of hydrogen traps in the steel, for example interfaces at inclusions and precipitates, or hydrogen induced cracks. Both the solubility and diffusivity of hydrogen in the alloy and the thickness of the steel are important to be aware of as is the alloy’s susceptibility to hydrogen embrittlement. The last factor to be aware of when performing a hydrogen bake-out is whether or not the equipment is weld overlaid/clad with a corrosion resistant alloy. You’ve probably noticed that this blog post is an incredibly high level overview of a much deeper subject. Inspectioneering has some additional resources that might help to expand your knowledge. First, you can download Inspectioneering’s hydrogen bake-out asset intelligence report at no cost. Many have found it to be a useful primer. You can download it using the button at the bottom of this article. Hydrogen bake-out should be used on all steel equipment to remove molecular hydrogen from equipment to prevent it from becoming brittle and cracking during or after welding. It cannot be overstated how important this process is before doing a weld, as failing to do so can lead to several expensive and time-consuming problems. To get a more comprehensive primer on this topic, click the button below to download Inspectioneering’s Asset Intelligence Report on hydrogen bake-out. What are the operating conditions of equipment... Log in or register to read the rest of this comment.